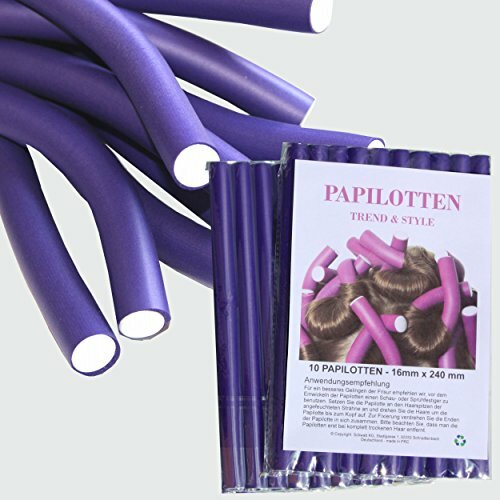 Length: 9.5" / diameter 0.63"
Your hair gets curled quickly and gently with the professional papilottes. Easy handling of papilottes by screwing in without any needles or clips. Excellent professional quality, flexible, clinging adjustable and gentle to your hair. Suitable for permanent waves. For a better hairstyle, we suggest using a mousse or spray before wrapping the papilottes. Fix the papilotte at the hair-ends of the moistened strands and turn the hair around the papilotte up to the head. Twist the ends of the papilotte together to secure. Please remove the papilotte first for completely dry hair. NEW und original packaging, professional quality! If you have any questions about this product by SchwabMarken, contact us by completing and submitting the form below. If you are looking for a specif part number, please include it with your message.